The Blue Ribbon Panel commissioned by the Forest Service and Bureau of Land Management found that “under the current system of aircraft certification, contracting, and operation, key elements of the aerial wildland firefighting fleet are unsustainable”. One of those key elements is the large airtanker program. The Blue Ribbon panel believes the large, fixed-wing airtanker inspection and repair programs are not adequate to ensure the continued airworthiness of the fleet in the demanding environment in which they operate. They found the federal agency short-term pursuit of cost-efficiency did not reward “value, performance and safety”. Consequently funding levels have not allowed the application of modern engineering techniques to develop, design and implement the type of airworthiness programs necessary for sustained, safe aerial firefighting operations. Industry is well aware of concerns about the suitability of the current fleet of large, fixed-wing airtankers modified for a purpose for which they were not designed. In fact, the operators of these airtankers are proactively pursuing more rigorous inspection/repair programs, having initiated a program review and modification process before release of the Blue Ribbon Panel Report. As follow-on to the one-time structural inspections conducted last summer, the companies began evaluating their current FAA approved airtanker inspection programs with the assistance of independent non-destructive inspection (NDI) laboratories, structural engineering firms and the FAA. The ultimate goal was to ensure all critical structural areas were inspected at intervals necessary to ensure safety of flight. During this winter maintenance period, the aircraft were disassembled to provide access to all the structural members, and sensitive NDI methods (e.g. x-ray, eddy current and dye penetrant) were used to inspect the aircraft structural integrity. Repairs were made where required. Following release of the Blue Ribbon Panel Report, the Forest Service contracted with the Sandia Laboratories, Airworthiness Assurance, to assess each company’s inspection/repair program to validate and/or modify the programs as necessary to ensure the most effective inspection procedures possible were being accomplished. We anticipate this process will be completed by the end of April 2003, and all airtankers that meet the new standards will be on contract for the 2003 wildfire season. Industry views the current Sandia process to be just the first phase in developing a total inspection/repair program that will serve as the model for all airtankers in the future; i.e. “a model airworthiness program”. Several companies have already initiated this process. The next steps will include an evaluation of the operating environment to establish the operating environment load spectra in order to understand the loads experienced and the effects of those loads on firefighting aircraft. From the load spectra analysis, a damage tolerance assessment (DTA) will be developed to identify critical stress areas, critical stress crack lengths, and growth rates. Based upon the DTA, an inspection program will be designed that thoroughly addresses structural elements of the aircraft. This will ensure the aircraft are inspected properly for the operational environment in which they are being operated. Coupled with these programs will be implementation of a “Structural Health-Monitoring Program”, whereby the aircraft will be properly instrumented to ensure events of harsh or unusual usage are quickly identified. The structural health-monitoring program will allow a company to identify when an overstress event has occurred, remove the aircraft from service, and take appropriate inspection/maintenance action. The program will also be invaluable in the continual monitoring of existing inspection programs, adjusting inspection intervals as appropriate, and determining just how long the airtanker can be operated safely in the aerial firefighting role. The new generation, large, fixed-wing airtankers will be turbine-powered aircraft suitable for the mission. However, regardless of whether the aircraft procured are resale or new production aircraft, industry believes they must have an airworthiness program tailored to the operating environment as described in this paper. Key to this transition will be adequate contract funding, and contract language that requires strict contractor adherence to the highest standards of aircraft maintenance and inspection. 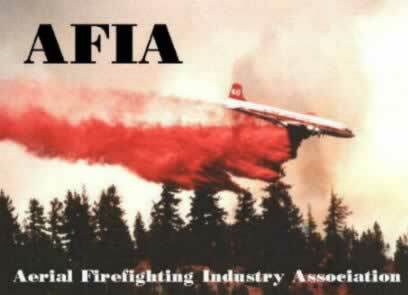 The Aerial Firefighting Industry Association (AFIA) is a nonprofit trade association organized for the purpose of promoting and advancing the common interests and welfare of companies engaged in forest and wildland firefighting utilizing multi-engine airtankers, heli-tankers, and single engine airtankers. Association membership includes nine multi-engine airtanker companies, three heavy lift heli-tanker companies, two single engine airtanker (SEATS) company, and seven sustaining members. AFIA activities involve communicating, educating, and representing industry interests to federal and state firefighting agencies and Congressional staffs, and coordinating the two-way dissemination of information to improve the safety and effectiveness of airtanker operations. AFIA airtanker companies provide aerial firefighting services to all regions of the United States during the peak fire season. Their range of activities extend from the Eastern and Southern states in the pre-Spring months, to the Southwestern states and Alaska in mid-summer, and end in the Western states in late summer/early Fall. The companies also remain in an "on-call availability status" at their home bases for periods of time before and after the peak fire season in the event of early or extended fire activity. The private companies that make up AFIA account for over 75% of multi-engine airtankers available from private industry, and 90% of federally contracted multi-engine airtankers. A recent National Airtanker Study conducted by the U. S. Department of Agriculture-Forest Service and Department of Interior validated the effectiveness of the 1995 large airtanker program as follows: "The benefit to airtanker program cost ratio of this 1995 large airtanker program is ($96,891,948/$11,192,024) or 8.7 to 1. This benefit cost is to the initial attack program. Additional benefits can be attained in the support of large fire suppression." 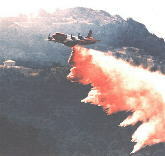 Initial attack, a primary role for airtankers, involves a fast reaction response to retard wildfire growth until ground crews arrive for final suppression. When fires escape their initial boundaries to become large wildfires, airtankers are also effective in supporting the required large scale containment and suppression activities. AFIA companies clearly provide the best value to the Federal government in aerial firefighting services, and continue to improve their capabilities through internal company research and development programs focused on fielding improved airtankers and retardant delivery systems.